At the midpoint of the community is Center City, part of the chain of five small towns that make up the community of Chisago Lakes. Nestled along Highway 8, these small towns work together, yet are uniquely their own. This hillside town marks the transition from lake to land for the community. With its inspiring lake views, historic homes and a quaint main street, the town has much to offer. Waters from North and South Center Lakes, on both sides of Highway 8 usher travelers into the area with welcome arms and play a prominent role in the town’s persona. With an in-town fishing pier, and well-run restaurants, you’ll want to carve out time to discover this town yourself. Take a moment and drive up Summit Avenue to see what inspired the first settlers to stake their claim here. Long standing Victorian homes line the street to the east, endless lake views to the west, and on the other side of the hill, the quintessential Lutheran church will appear, which may look familiar. This is the church where Jack Lemon marries Ann Margaret at the end of the movie Grumpy Old Men. Venture just outside the town to taste world renowned Gouda cheese, and pick up some items for a picnic or enjoy lunch on the property. Plan a visit during the last weekend of July and enjoy a traditional small town festival complete with a community picnic, bingo and street dance as part of Center City Days. 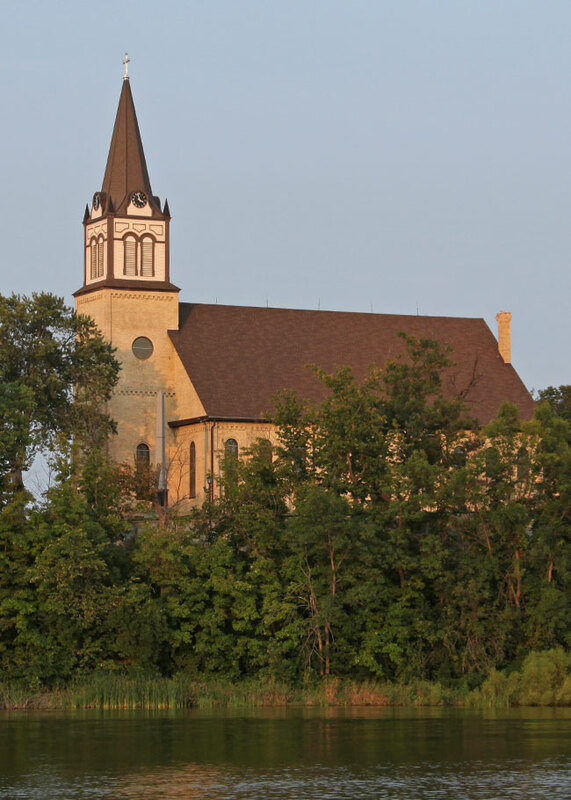 Chisago Lake Evengelical Lutheran Church – The first Swedes came to the Chisago Lakes region in the early 1850s. The area was thick with forests and lakes, very similar to Sweden. The Chippewa Indians called this land KichiSaga, meaning fair and lovely waters. The immigrants’ desire for a Lutheran church of their own became a reality on May 12, 1854, when they, with the Reverend Erland Carlsson of Chicago, organized a congregation of about 100 members. That summer they built a meeting house, which served as a public school and a church.